Annihilation Refuses To Dumb Itself Down. 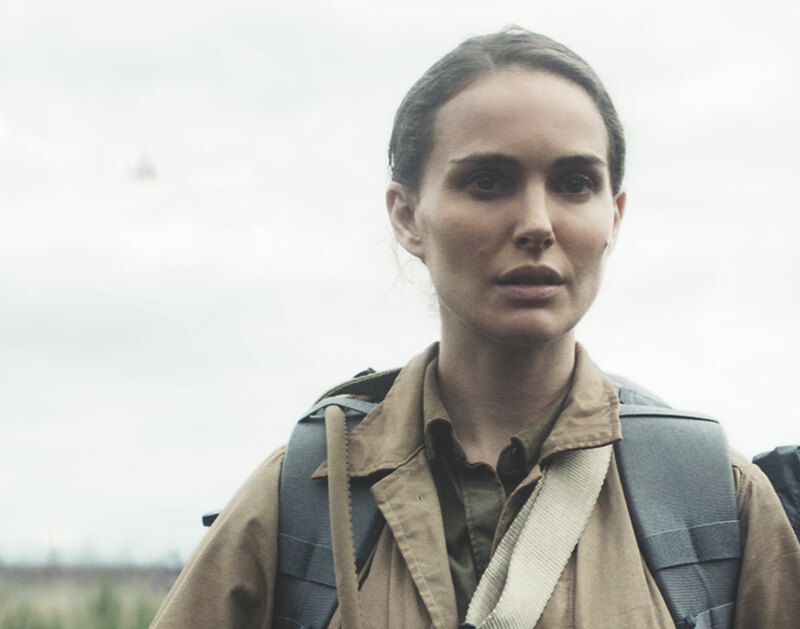 The Natalie Portman Vehicle Has No Interest In Explaining Its Every Quirk, And Its Thrilling Science Fiction Narrative Is All The Better For It. Writer: Alex Garland, based on a book by Jeff VanderMeer. Starring: Natalie Portman, Jennifer Jason Leigh, Gina Rodriguez, Tessa Thompson, Tuva Novotny and Oscar Isaac. Sometimes, it takes an extraordinary event for people to finally deal with their emotional baggage. Alex Garland gets that. With Annihilation, his film in the director’s chair (his first was 2015’s Ex Machina), he continues to explore the ways humans confront and sometimes triumph over the unknown and daunting forces of the universe. Adapted loosely from the 2014 Jeff VanderMeer novel of the same name — something Garland understands after having seen his debut novel, 1996’s The Beach, adapted to the screen in 2000 by Danny Boyle — Annihilation asks a lot of big questions about the human existence, the concept of self, even mortality. And it does by taking us through one of the most mind-bending experiences in a long time. It starts off simple enough: Lena (Natalie Portman) is a biologist grieving the disappearance of her husband Kane (Oscar Isaac). But when Kane returns homes, the reunion is not as joyous as expected. His demeanor is off, he has no memory of the last 12 months, and he’s started coughing up blood. Eventually, we come to find that this is in part due to Kane’s involvement with an expedition into the mysterious Area X. After having appeared three years ago, Area X been slowly expanding, with numerous teams sent in to explore it but none beyond Kane coming back. So, naturally, an answer-seeking Lena heads in. She’s joined by Kane’s old colleague Dr. Ventress (Jennifer Jason Leigh), as well as Anya (Gina Rodriguez), Cass (Tuva Novotny) and Josie (Tessa Thompson), who each have their own reasons for the adventure, with Lena’s primary goal being to cure her husband. What follows is a psychedelic journey filled with colorful plants, hybrid animals and foliage and settings that make no sense at all. Thankfully, Garland doesn’t slow the movie down to explain every extraordinary thing, instead letting the viewer fill in the gaps. Instead, he chooses to carefully play with time, with his narrative shifting abruptly between the past, present and future, adding real heft to the film’s tensions and its characters’ deteriorating mental states. It’s all very high-minded stuff and by no means soft science fiction fare. Which is why it’s so refreshing to see that the film’s cast is dominated by women and minorities. Here, Gina Rodriguez shows that she has life far beyond Jane the Virgin, Tessa Thompson once again stands out as an actor of gravitas and Natalie Portman continues to prove herself as one of the best actresses of her generation, as she just carries the hell out of this movie. Will everyone appreciate what Annihilation is going for? Absolutely not. Garland’s exploring some spiritual and metaphysical questions here, and his film will no doubt be a divisive watch as a result. But the fact that it doesn’t really care if audiences understand it is part of why it succeeds. Annihilation is big and loud, and it has no interest in trying to dumb itself down to the lowest common denominator. In fact, in many ways, the film is very much like the Area X at its center. Those who cross into it might not get what they initially sought. But they will leave changed. Previous ArticleGoodies Cakery Delivers Dallas’ Most Viral Desserts.